Delay: Default delay between the fade in/out slideshow is 5000.Can change the delay using this parameter. Border radius: Set border radius (in px) to the content area. Please click the link below to find how to install the plugin. [http://www.pearlbells.co.uk/typewriter-effect/] and follow the steps 1 – 5. 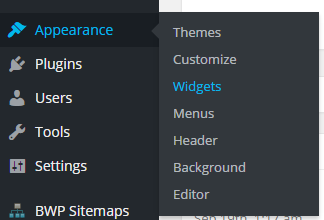 Please drag and drop the ‘Typewriter Effect’ widget to the available sidebar or footer location as show below. a) If you want to display the post based on the category. 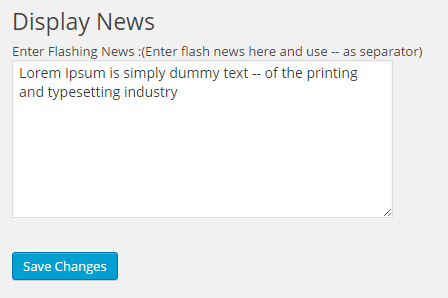 If you want display news from the default post or custom post type. If you want to display custom data please select Typewriter Effect->News from the dashboard and enter data separated by a (–) as shown in the below figure.